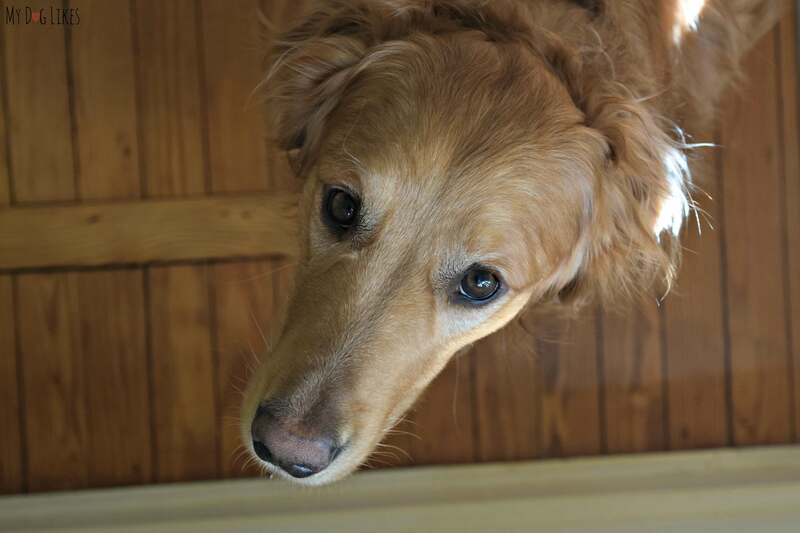 Have you ever wondered how your dog thinks and perceives the world around them? I know I have! As dog lovers we appreciate the very real connection felt when we look at one-another – but does this feeling have any basis in science? Or do we read too much into the behavior of our furry friends and apply a human understanding of emotions? Developing a better understanding of your dog is key to improving your bond with one another. Determining their cognitive strengths can also help shape your training methodology, their behavior and more. But how exactly can this be done? 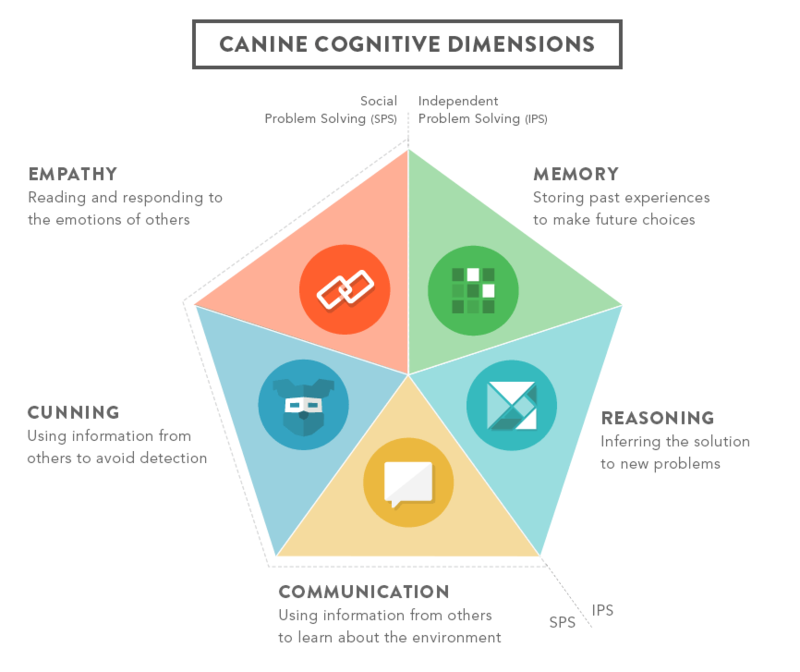 Dognition is a canine cognition assessment tool – which helps you to gain a better understanding of how your dog thinks and solves problems. Dognition works by providing you with a series of tests (all backed by scientific research) to work through with your dog. Each activity focuses on one aspect of cognition including empathy, communication, cunning, memory, and reasoning. Based upon your dogs performance in the various domains, Dognition will compile a “Dognition Profile” which will help you to gain a clear picture of your dogs worldview and the individuality of their character. 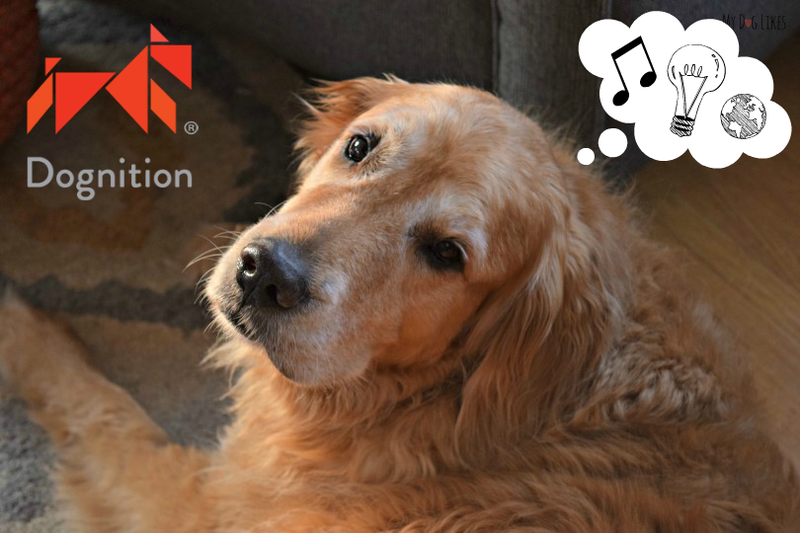 Click Here to Visit Dognition to Learn More! We are very excited to be working with Dognition over the next few weeks to learn more about the program and try it out with Harley and Charlie. They have kindly provided us with a membership to test the system for the purposes of our review. In addition to helping you better understand your own dog, the information revealed from your Dognition Assessment is anonymously collected and analyzed by researchers to make further advances in the field of canine cognition. This includes looking for correlations within and between different breeds. While purebred dogs are bred for various characteristics and qualities, anyone who has ever owned two dogs of the same breed knows that they all have their own personalities, strengths, and challenges. This is a particularly interesting application, and we love the idea of our boys contributing to science. Don’t have a purebred dog? Not to worry…the information collected is just as useful from mixed breeds! How Did Dognition Get It’s Start? Dognition was founded by Dr. Brian Hare – an associate professor in Evolutionary Anthropology at Duke University. As an expert in canine intelligence (and dog lover himself), Dr. Hare knew that current research on the subject could help the average dog owner develop a better relationship with his/her dog. Dognition was developed as a unique way for pet parents to apply this understanding – in a method that is fun for all involved. Step 1: Visit Dognition.com and register for the assessment. A single test costs only $19 and you can get started in minutes! After signing up for the assessment, you will enter a dashboard area with access to the dozen or so individual activities. Each test is well described but also includes a video tutorial to make sure you know just what to do! Dognition recommends that you break up the testing over a few days so as not to overexert your dog! These activities are mentally challenging and you want your dog to be fully alert for peak performance. Also, being a bit hungry (and treat motivated) will help! Once you have finished the assessment you will be matched up with the Dognition Profile which best describes your dog. 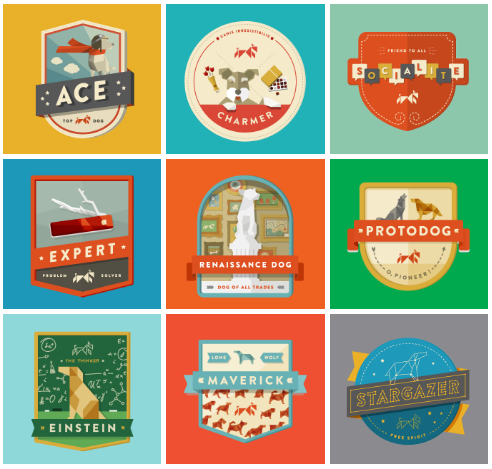 Sample profiles include RENAISSANCE DOG – with adequate abilities across all cognitive dimensions and MAVERICK – with a strong desire to strike out and solve problems on their own. Have multiple dogs? They can be added to your plan at a 50% savings! We are always looking to improve the bond with our dogs and what better way than gaining a better understanding of how they navigate the world? For that reason, we are SO EXCITED to test out this program and see what insights we can gain into our boys cognition! 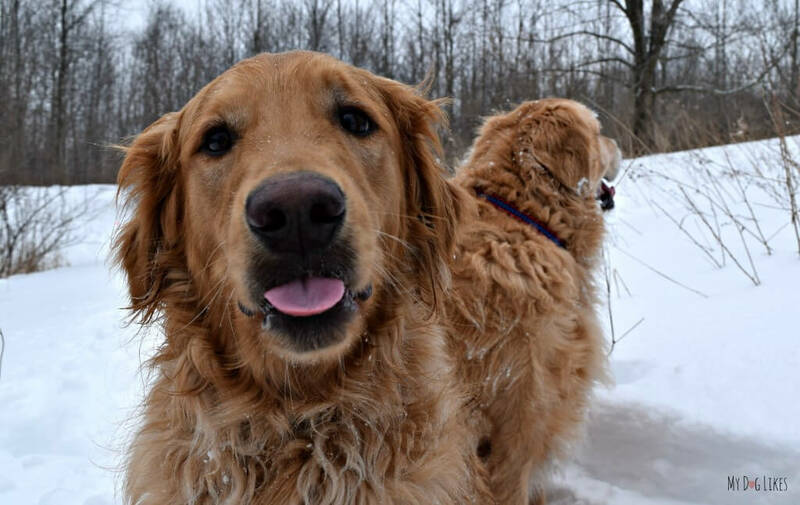 Although they are both Golden Retrievers, they have very different personalities, and it will be particularly interesting to see the differences in their assessments. Not only that, but it will be fun! Every time we work on a new skill with the dogs we remember once again just how much they enjoy it. Not only for the mental stimulation of solving problems but simply for spending quality time together. Stay tuned for Harley and Charlie’s cognition assessments – live next week! In the meantime, we have some testing to do! Dognition also makes a great gift! Click Here to Check Out Dognition! this was developed by the guy at duke hospital. i have always wanted to call him and meet him since duke is only abt 30 min away. We think it would be fun to give a try and see what the results are.